We’ve known Bunny versions, Maid versions, and Swimsuit versions. 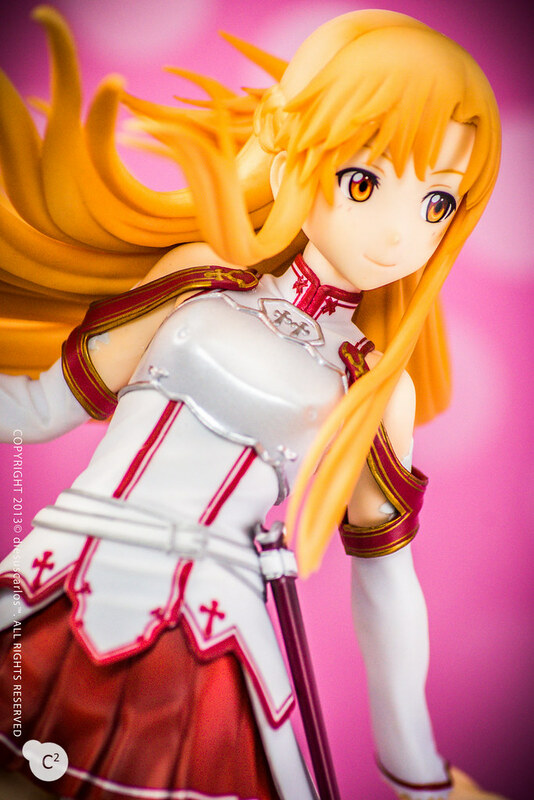 First, ask yourself if you’ve watched Sword Art Online or SAO or ソードアート・オンライン. 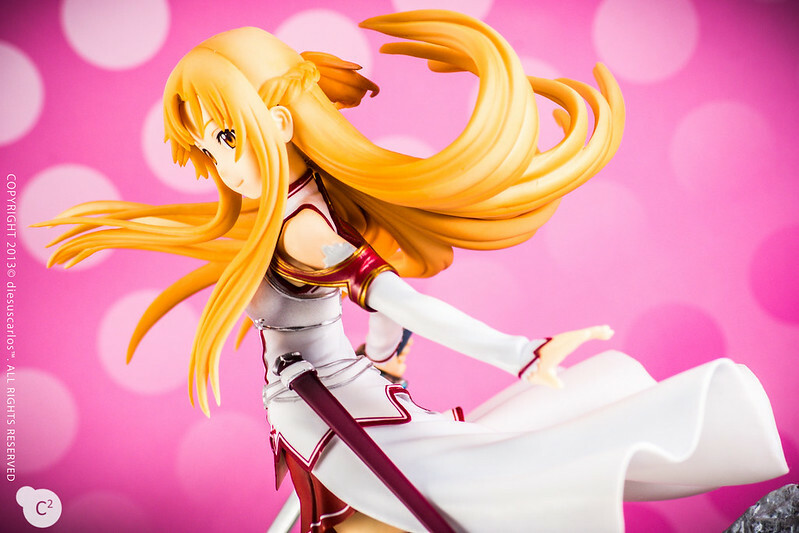 You’d probably be familiar with Kirito, Asuna, Yui and the rest of the gang. Then you should be familiar of how the SAO levels look like. Yes. It’s the inverted Conus Snail like world. That world is “An INCarnating RADius” or AINCRAD for short. 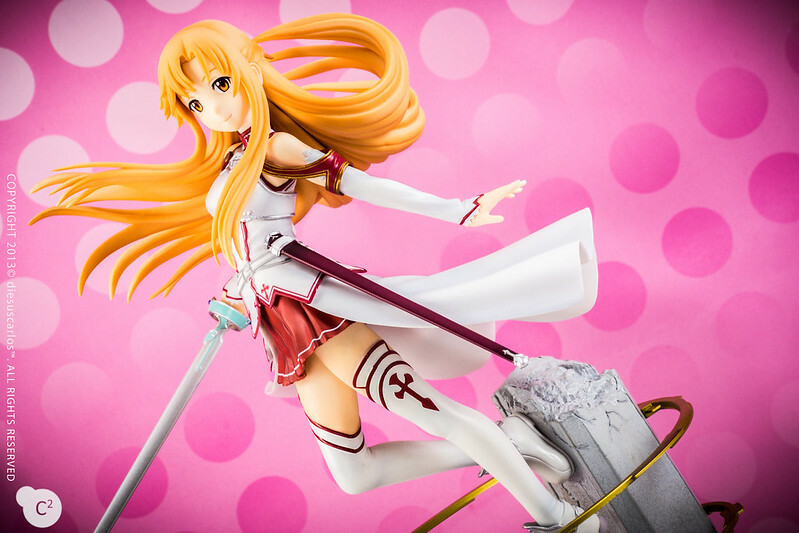 This would mean that the Aincrad version would be Asuna’s form/outfit/wardrobe when she was in the First World in the Sword Art Online series. 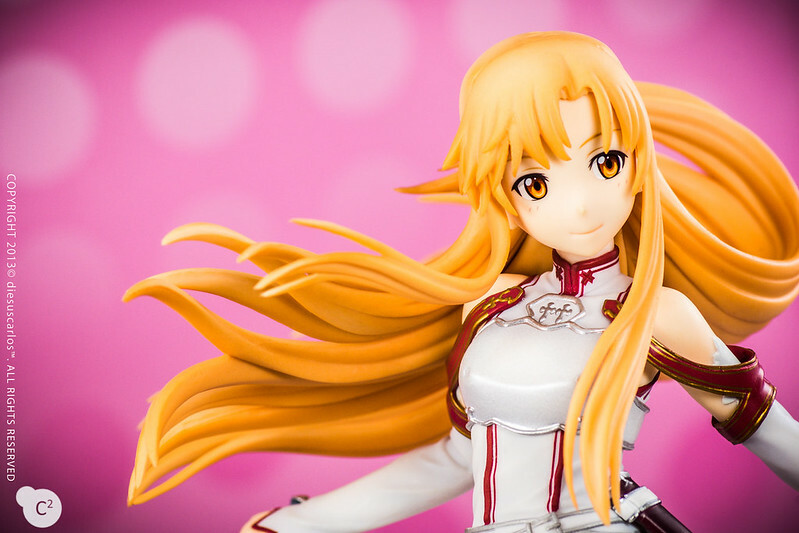 With this, it is not farfetched to say that Kotobukiya, this figure’s maker, is planning to create other world versions of Asuna. I hope they do! (●´∀｀●) *Shouts ALO version!!! * And Kotobukiya is good on preserving wardrobe details. 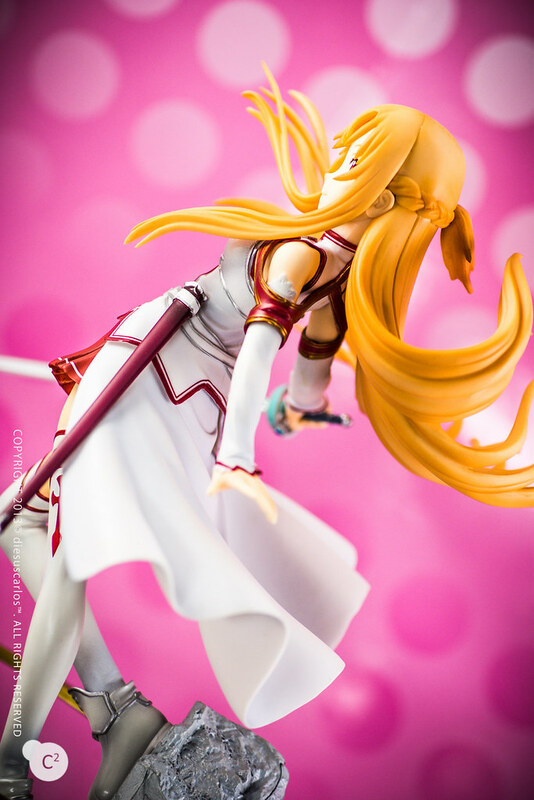 I took this shot just to drool on the wardrobe details of this figure. 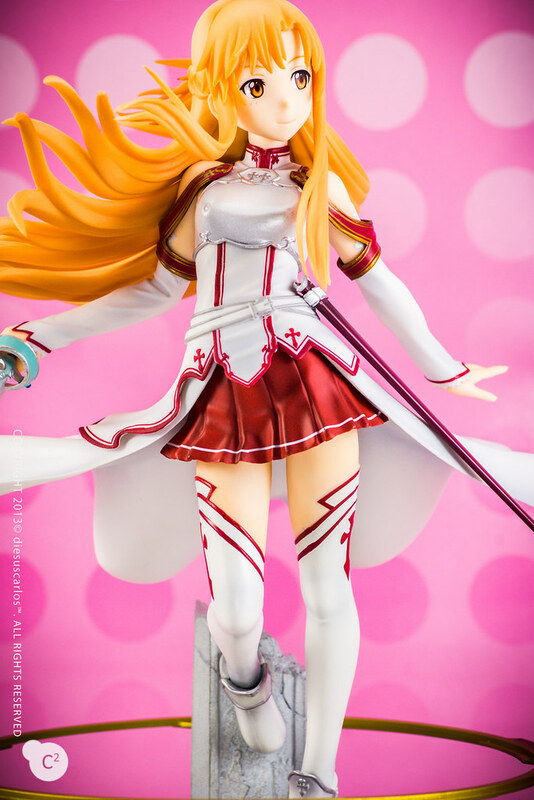 The figure’s posing is very nice. I like that the base is small as well while the overall width of the figure is bigger. This means that I can place it beside a bigger base figure with no problem. I just have to make sure that the figures don’t bump each other. This also means that the figure is very light. See how the figure itself is set? Only one foot is sticking to the base itself. The rest of the figure is hanging. Literally. Now if the figure was heavy, you’d expect it to show signs of bending similar to leaning (Google “leaning figures”). And it wouldn’t look good if this figure’s leg was bent. It’s like you’re looking at a serious injury from a football player. 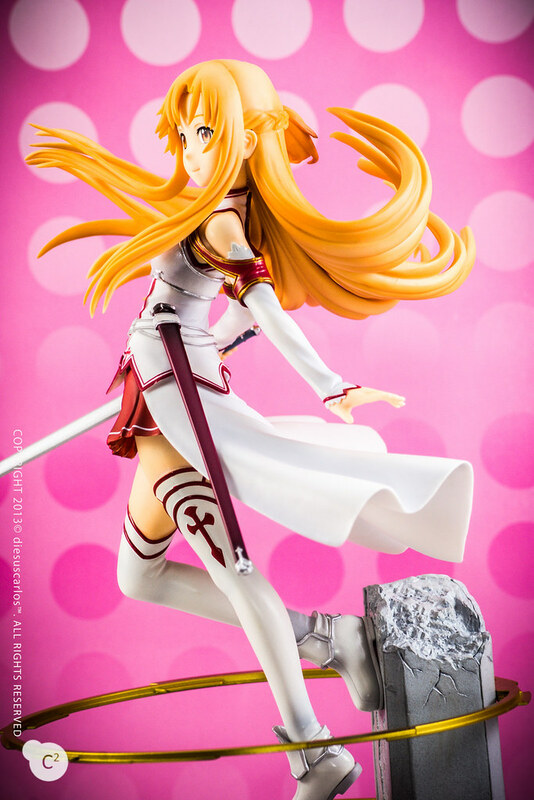 Her sculpt is simple but beautiful. She’s really dynamic here! 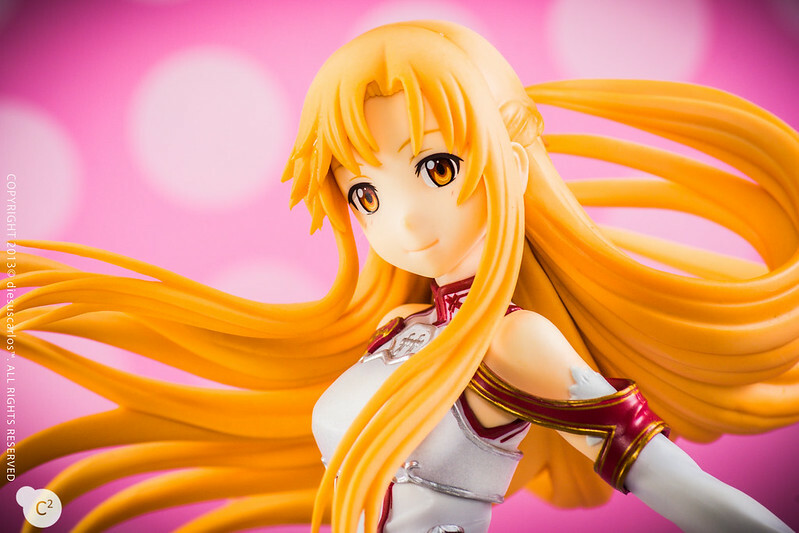 Looking forward to doing a shoot on another Asuna figure that I have (Griffon’s Titania ver) so I can compare. I will be placing an order on GSC’s and Chara-Ani’s as well. So far, I’m happy with this purchase. She’s also compact which is good. I can place her in front of my computer desk. No monitor blocked compared to if I place Ultimate Madoka in front. BTW, I already placed her in front of my desk. 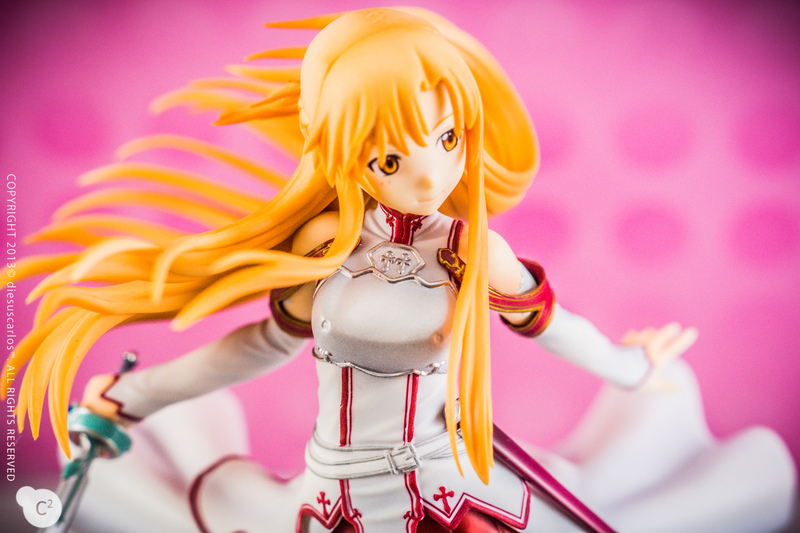 Without further ado, here are my photos of her. I hope you like them! 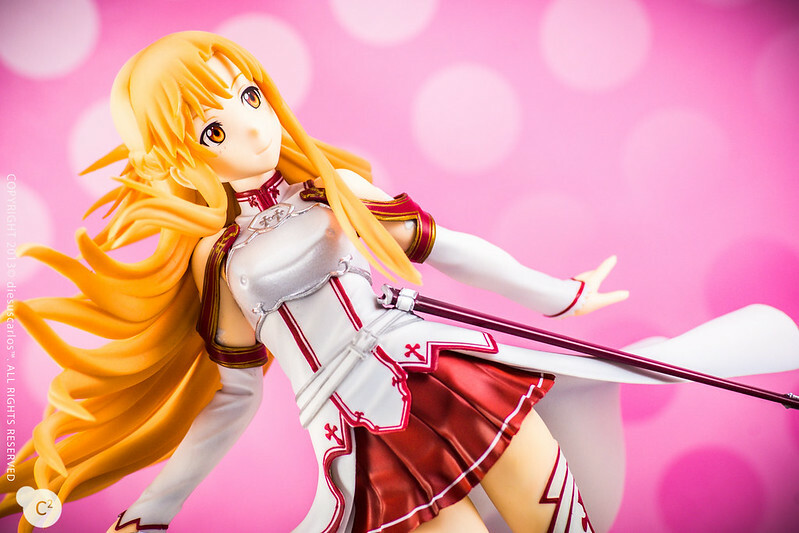 Posted in Figure/Doll Photos, Scale FiguresTagged aincrad, anime, asuna, figure photography, figure review, figures, kawaii, kotobukiya, SAO, scale, scale figures, sword art, sword art online, toy, toy photography, toysBookmark the permalink. Reblogged this on Someone's Alternate Realm.